Thornthwaite Farm01229 716340work01229 716340fax Self-cateringThornthwaite Farm is set amidst the beautiful scenery of the Woodland Valley. We have four cottages including our 4 star Gold Award barn conversion, and our hand built Gold Award Log Cabin all with stunning views of the Lakeland fells. The cottages and Log Cabin are ideally situated for those wishing to go walking or cycling or just relaxing, with many walks from your cottage door. The farm provides a unique diversity of landscape, including lowland flower meadows, ancient woods, rocky outcrops, streams and rivers. The farm also offers a diverse range of wildlife and fauna including rare orchids and mosses including a Site of Special Scientific Interest and a Special Area of Conservation. We have 150 acres of beautiful woodland to explore, which are a vivid carpet of bluebells in the spring. Additionally, guests can enjoy going badger watching at dusk, seeing the fox cubs playing or catching a glimpse of the barn owls out hunting. 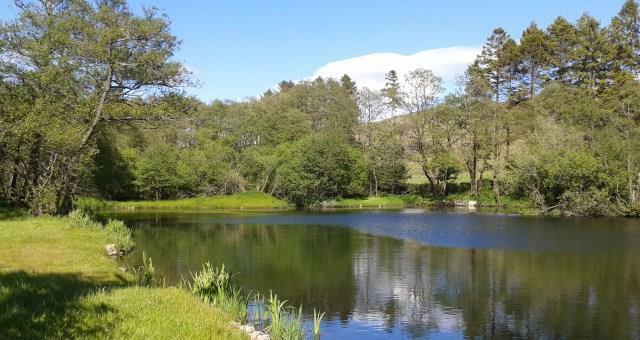 We also have available to guests our own trout fishing lake and river bank fishing. Thornthwaite Farm offers weekly bookings starting on Friday and sometimes short breaks. Two bedrooms, 1 double and 1 twin. Blacksmiths offers weekly bookings starting on Friday and sometimes short breaks. Two inter-connecting bedrooms. One Double and one Twin bedroom. Children over the age of 5 only. We allow a maximum of one pet in Little Galey Cottage. Little Galey offers weekly bookings starting on Friday and sometimes short breaks. 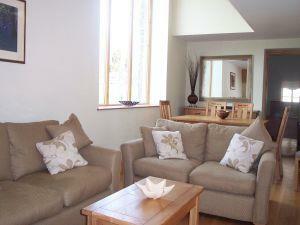 Stable Cottage offers weekly bookings starting on Friday and sometimes short breaks. Three bedrooms, 1 double and 2 twin. Woodmans offers weekly bookings starting on Friday and sometimes short breaks. Excellent location with very friendly hosts. The log cabin is beautiful and very peaceful. It has a lovely outlook to the hills and Lake Coniston is only a short drive away. We also had dinner at The Ship Inn Pub about a 10 minute drive away which was great too. We had a great stay and will be back! Thornthwaite Farm is set amidst the beautiful scenery of the Woodland Valley. We have four cottages including our 4 star Gold Award barn conversion, and our hand built Gold Award Log Cabin all with stunning views of the Lakeland fells. The cottages and Log Cabin are ideally situated for those wishing to go walking or cycling or just relaxing, with many walks from your cottage door. Leave the M6 Motorway at Junction 36, and take the first exit onto the A590. Follow the A590 as far as Greenodd Estuary, at the roundabout turn RIGHT onto the A5092. Continue along this road passing through the hamlets of Spark Bridge, Lowick and Gawthwaite. 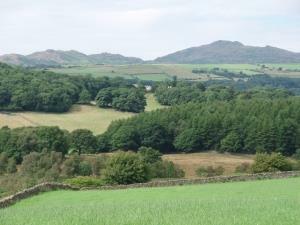 Approximately ½ mile after the hamlet of Gawthwaite, look for the turning on the RIGHT signposted ‘Woodland’. Take this RIGHT turn and follow the road for approximately 3 miles until you reach a ‘T’ junction. At this junction turn LEFT. After approximately 200 metres, you will see our sign is on your RIGHT, set back about 20 yards away from the road on the entrance wall. Come over the cattle grid and continue up the farm lane through the woods, taking the corners wide. After approx ½ mile you will come to the gates into Woodland Hall, DO NOT go through the gates into Woodland Hall, instead turn to the left, this brings you to Thornthwaite Farm.